Globally, usage of vegetable oils has been steadily increasing over the past 20 years at a rate of approximately 5% a year (according to the USDA World Market Trade Report). This has been directly related to population growth, increased wealth in BRIC countries and increased meat consumption (as a higher amount of animal feed is derived from oilseed). Even more, with increased public awareness of the dangers of climate change and the correlation between fossil fuel combustion and global warming, the level of biofuel production has dramatically increased as well, which has also driven up the consumption of vegetable oils, as consumers look towards a “cleaner” means of fuel production. While sustainability plays a larger part in marketing and consumer choice these days, this means that the once specialty “niche” market has been brought to mass market, prompting price erosion and pushing consumers to look for the cheapest, natural product – regardless of the product’s natural origin. This is where palm oil has its true advantage, as there is an exceptional efficiency in it as a crop; more oil can be derived from a single palm tree than any other vegetable crop. Additionally, an abundance of palm oil means that prices are kept low and supply constant. 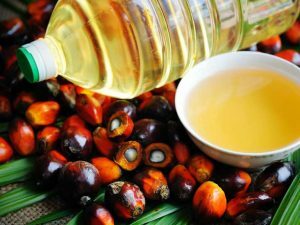 In comparison with the cost of other raw materials, palm oil can also be used to produce many of those utilised in our daily lives at a significantly reduced cost. On the surface, palm oil seems like the ideal biofuel. It is inexpensive, land efficient and can lead to reductions in atmospheric carbon dioxide when burned. The problem is in its production methods, which requires clearing forest for land (by the means of cutting down harvestable timber and then burning the remains) so that planting can begin. A key issue is that primary forest is typically targeted – which leads to exorbitant greenhouse gas emissions and the destruction of habitats of endemic animals. A whopping fifty percent of the world’s animal population reside in the dwindling rainforests, and with the removal of primary forest it threatens them to extinction. A tragic example of this is the critically endangered Bornean orangutan, of which 100,000 were lost between 1999 and 2015. Unfortunately, the reason for selecting primary forest is in the revenue it can generate while the seedlings grow. Smallholder plantations make up about 40% of the current palm oil industry with the majority being in southeast Asia, and the time it takes for a plantation to become productive can take from two to four years – which means that selling timber harvested from primary forest can help a smallholder buy fertiliser, equipment and support his family while waiting for his crop to become productive. However, with the effectiveness of NGO and community pressure in the reduction of deforestation rates in Brazil, the hope is that the same can happen in southeast Asia. More raw material manufacturers are making palm-oil free options, and with increased awareness of palm oil and its effects on the environment, it is possible to make changes and turn things around – but for that to happen, all formulators, brands and companies must consciously decide to take a stand before it’s too late.